The Far Cry series has been a cool franchise for the most part, though not everyone liked the ending of Far Cry 5. It appears that the next game in the franchise might be a direct sequel to FC5 picking up where that game ended. 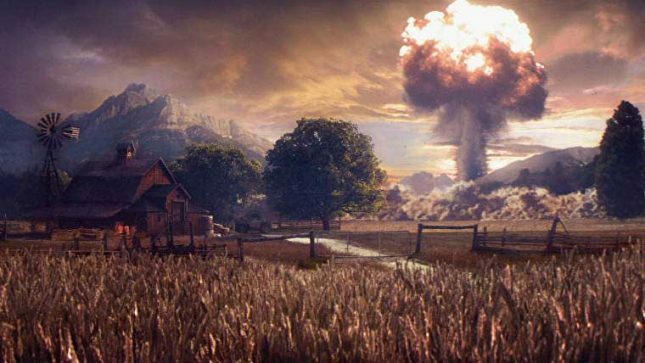 The game is said to start as the earth is coming back from a major apocalypse reports Rockpapershotgun. The teaser trailer shows an interesting improvised weapon. The trailer certainly has the feel of a game that will have players searching for items they can use to make weapons and fight others. There is a definite Mad Max vibe to the teaser. The worldwide reveal of the game is set for today at 5:30 PST. If you want to see it all, you should tune into The Game Awards. I’ve mostly avoided Far Cry since the second game in the franchise, but the first two were very fun. Check out the video teaser for the details we have right now.